In this article we specifically recommend and review several of the Best Gas Grills Under $300. Yes, it is possible to get a fantastic gas grill for less than $300 — but you’ll have to be realistic about your expectations. Ultimately, it depends on what your requirements are. We wrote this article for you, to help you make the right decision. What Are The Best Gas Grills Under $300? I’ve been going through a lot of barbeque grill review sites to see what is considered the best gas grill. I don’t recommend doing this, there are so many opinions out there and if you try take everyone seriously, you’ll end up more confused than ever. One thing that’s a real challenge is deciding on the price. You can find gas grills for under $100 and then you can pay well over $10,000 for a high-end gas grill. There are a lot of guys who are of the opinion that you won’t find a good quality gas grill for under $500. Though from what I can see, this isn’t actually true and this presented me with a challenge. I set out to find out if you can get a great gas grill for under $300. We did a great deal of research and this means that you don’t have to go to all that trouble. Believe me, it’s a big job finding the best gas grills under $300. There are so many options out there and if you go by the sales brochures, they are all amazing. So it’s better to sift through the facts and determine which is, in fact, truly the best gas grill for under $300. It’s estimated that about 70% of Americans own a gas grill. This is no surprise, barbeque is a part of the American heritage. With so many eager customers for these products, the gas grill market is highly competitive and this just makes everything more confusing. Manufacturers around the world are determined to cash in on this lucrative market. Naturally, if you’re spending $300 on a gas grill, you’ll need to be realistic about your expectations. There’s a distinct difference between a $10,000 gas grill and a $300 one. Though spending less, doesn’t mean that you’re buying junk. What’s considered the best for a commercial kitchen and what we need for weekend barbecues are worlds apart. So set your sights on what is the best in this price range. Before going out and selecting the best gas grills under $300, we took a good look at what people should look for in a gas grill and what you can get in this price range. With any purchase, quality is paramount and when your budget comes into play, we may think this could end up being a compromising factor. To a certain extent, I would agree that buying a cheaper gas grill will mean that you’re not getting a commercial-grade high-end grill. Though for the needs of the average homeowner, the expensive grills are likely to be more than what we need. When looking at quality and durability, there are two important factors to consider, materials and build quality. Ask any professional chef what’s the best materials for a gas grill and they’ll tell you it has to be stainless steel. This is quite true, though cast aluminum is also considered to be the best. Though one must be wary of some stainless steel products, especially if you’re looking at the lower end of the price range. Stainless steel is expensive and there will be manufacturers who use low-grade stainless steel that’s actually too thin for a gas grill and not the best quality. They do this to make a cheap product seem like it’s a high-quality competitor for the really expensive grills. These guys would usually end up using cheap, inferior fasteners, valves and the like. When looking at a gas grill for under $300, you really need to be careful to avoid products that look glossy and fancy. If we’re going to be realistic, a gas grill that costs less than $300 shouldn’t be made entirely of stainless steel. At this price, you won’t get the high-grade stainless steel that’s used to make grills that cost thousands. So if the burners are stainless steel – great. This is an important working part of the grill and here, stainless steel is important. Perhaps the lid and some other areas where the grill gets hot. So if you’re looking at the crucial working parts of the grill, generous use of stainless steel is a good indication of a quality item. I’d rate cast aluminum gas grills as highly as stainless steel. When it comes to the frame and other areas where heat is not a big issue, stainless steel is certainly a nice thing to have – it never rusts. Though it’s not critical and the fact that these surfaces don’t get excessively hot means that there are very durable coatings that work just fine. If the general lower-temperature components of the grill have a powder-coated surface, this is great. Most industrial equipment used in factories are powder coated because this is a virtually indestructible way of protecting any metal. Carbon steel is another material that works really well for gas grills and offers a great substitute for stainless and aluminum when looking at a cheaper gas grill. Size can be a deciding factor, but here again, don’t expect too much. A really large gas grill is going to cost more. So if you find a grill for under $300 that’s much larger than the others in this price range, take a second look. You might be able to find a large grill (around 700 sq. ft.) in this price range. But, unless this is a special offer with a good discount on the normal price, I wouldn’t be too confident about what I’m buying. Generally, in the $200-$300 price bracket, I’d expect to find a good quality gas grill that’s about 300-400 sq. ft., even up to 500 if you’re lucky. There are all sorts of extra features that one can find on gas grills like smokers, side burners, lights, and rotisseries. When looking at cheaper gas grills, don’t allow you yourself to become too enticed by all the extra bells and whistles. First look at the general quality of the grill, that’s really important. Another important feature is the burners – you want the heat to properly sear a steak and you want good temperature control, this means good burners and control knobs. Next, you should consider the right size grill for needs within your budget. If all these criteria have been met, any extra features are a cool bonus, but this should not be the deal breaker (or maker). So we’ve taken these considerations into account and used this to select some great gas grills that all cost less than $300. Take a look at the reviews of these products and decide which one is going to be the best for your needs. This review is going to save you a lot of time and effort and, because we’ve taken the trouble to find out what to look for in a gas grill, you need not look anywhere else. Some of these grills are really cheap, well under the $300 limit that we’ve set. The cheaper grills are more basic and perhaps smaller than those that cost more. Though even the cheapest gas grill in this review is of a good quality standard and worth buying. 36″ Outdoor Flat Top Gas Grill / 720 sq. inches / 60,000 BTU — 4 zone heating control, electric ignition, built in grease catcher, 4 heavy duty castors, 2 cantilevered shelves, folding legs. — one of the best gas grills under $300. Outdoor propane griddle that also cooks steak, burgers and other meats. Versatile. Exceptional griddle that can cook breakfast, lunch & dinner. This is the best gas grill in this review (that’s my opinion), it’s also the most expensive. In fact, we’re pushing the boundaries of our intention of reviewing the best grills under $300 with this one. You might have to search high and low to find the Blackstone 1554 at this price, I’ve seen them going for quite a bit more than $300. Though it’s possible to find one under $300, I’ve seen special offers on Amazon which, at a largely discounted price, make the Blackstone cheap enough to meet the criteria for this review. Bottom line is that if you can find the Blackstone 1554 costing less than $300, don’t hesitate. At this price they will be sold out quickly, so get in while the going’s good. The Blackstone 1554 is generous in size, 720 square inches of cooking area. It also has good surfaces on either side of the griddle and a storage shelf beneath it. So you have a convenient place to put your utensils, sauces, spices and serving dishes. It even has a very handy paper towel hanger and a large grease can. The 7-gauge rolled steel griddle surface is perfect for all types of cooking and it has excellent heat retention. The griddle is removable for easy cleaning and is treated to prevent rust. It also has high 2” side walls to prevent your food from falling off and fat dripping down. Four tubular stainless steel burners provide the best in durability and work perfectly. Each burner has a high-quality control knob that gives you absolute control over the cooking temperature, from a really low 15,000 BTUs right up to a scorching 60,000 BTUs and everything in between for each burner. This makes it perfect for cooking a large breakfast, you can have one side really hot and reduce your temperature for any of the four burners. This means you can do pancakes, bacon, and eggs to perfection, all at the same time. It has convenient push-button ignition that works off a single AA battery. It’s designed and built to the highest standards. The sturdy frame has a high-quality powder coated finish, which not only looks great, but will endure some rough treatment without scratching. So rust should never be a problem. One of the things that I’ve seen on the cheaper gas grills is that the wheels always seem to be a bit of an afterthought, they’re cheap and don’t look like they’re made to last. This is definitely not the case with the Blackstone 1554. The steel industrial casters with solid rubber cladding won’t break easily. So if portability is something you’re looking for, this grill won’t disappoint you. This is my number choice for a gas grill costing less than $300, especially if you’re looking for a large cooking surface. Even if you find it costing a few dollars more, it’s still a fantastic deal. Quality is of the highest standard and its functionality is absolutely superb. You won’t easily find a gas grill of this size for under $300 and, if you do, there’s a strong chance it won’t be of the same standard when it comes durability. This is a 5-star product at an incredibly reasonable price. 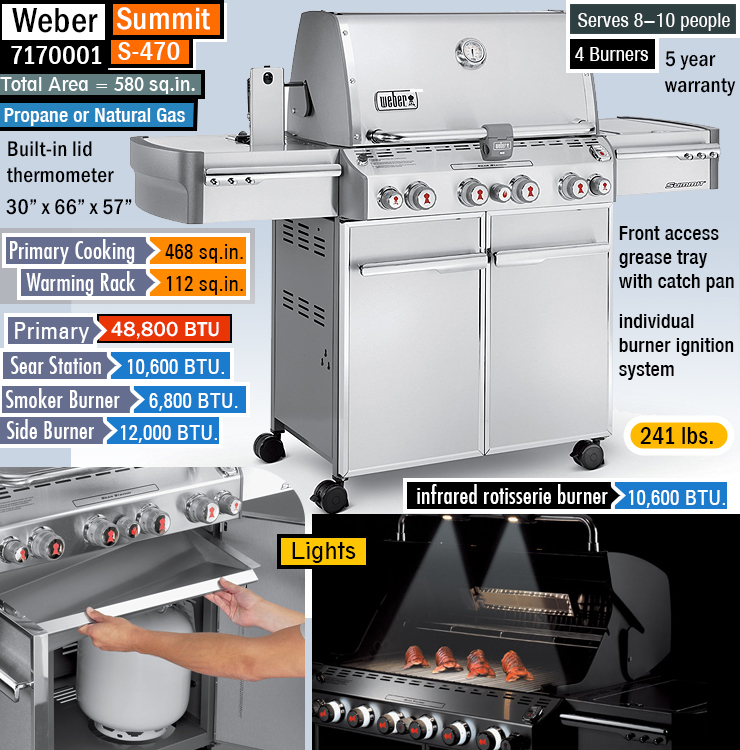 4-Burner, 36,000-BTU Cabinet Gas Grill with 10,000-BTU Lidded Side Burner. 475 square inches of cooking area. — one of the best gas grills under $300. 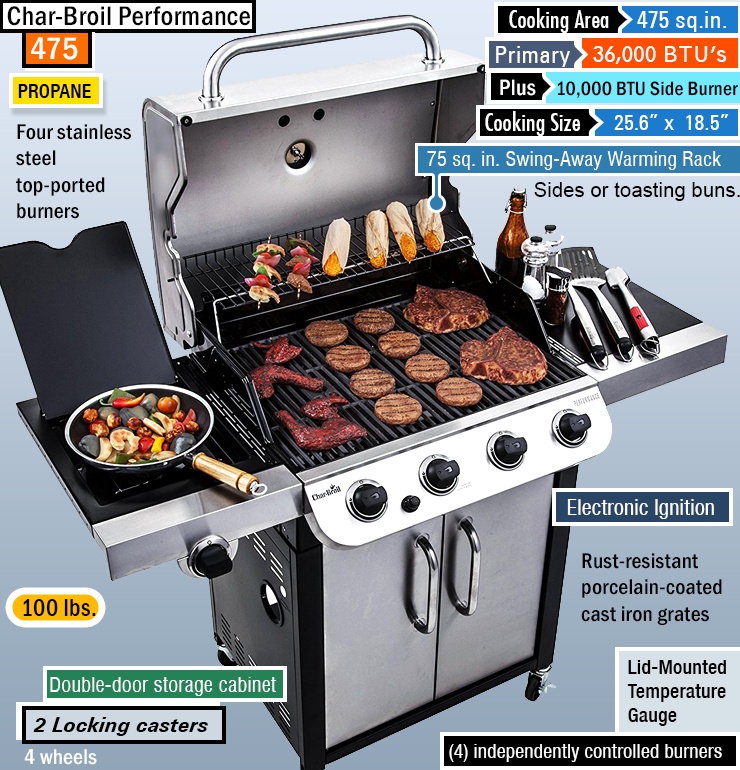 36,000-BTU Cabinet Gas Grill with 10,000-BTU Lidded Side Burner. Removable grease pan for quick and simple cleaning. ✓ View or download the MANUAL for the Char-Broil Performance 475. My first question was: could a gas grill this cheap, with a bunch of extras, be any good? Upon some investigation, the answer came up as a resounding yes. It is a quality item with stainless steel where it counts and good finishes. It does display an element of cheapness in the plastic wheels, though this is not something that bothers me too much. The wheels are really big so it will easily move over your lawn. The Char-Broil 475 weighs 95-pounds and these wheels can certainly handle this weight, though I would take care not to damage them if the terrain is not a flat paved surface. The Char-Broil has four, very durable, stainless steel burners with independent controls for each burner and electric ignition. The maximum heat of 36,000 BTUs is doesn’t come close to that of Blackstone 1554. But this grill has an open Grate, instead of the solid griddle that’s used for the Blackstone. So you don’t need as much heat. It’s also a smaller grill (475 sq. ft.) so your heat transfer is more concentrated. The cast iron grate is coated with porcelain, which is super tough, it prevents rust and is really easy to clean. The porcelain coating does an amazing job of preventing food from sticking to the grate. The removable grease pan is also porcelain coated and is just easy to clean. It’s nice to see some useful additional features on such an affordable gas grill. It has a stainless steel lid with a built-in thermometer and a 10,000 BTU side burner for keeping food and sauces warm. The stand has a very durable black coating and shelves below the grill that are enclosed by a door. The Char-Broil Performance 475 isn’t the biggest grill around but is a really convenient size. For well under $300, you’re getting a fantastic gas grill with some very useful extra features. With plenty of high-grade stainless steel, porcelain coated grate and grease pan, as well as excellent controls, this is a durable product of the highest standard. 346 sq.in. primary cooking area, 2 burners, 21,000 BTU. Can reach temperatures of 500°F in just 5 minutes & up to 650°F with a 15 lb. porcelain-enamel cast iron grate— one of the best gas grills under $300. Perfectly balanced to ensure no “hot spots” for perfect sear marks anywhere. Can cook at the same time : 12 burgers — 4.5” diameter (1/4 lb). 6.5″ tall hood features a recessed thermometer. 21-inch wide base and locking wheels keep it stable. ✓ View or download the MANUAL for the Fuego Element F21C. What a beauty. The Fuego Element F21C was designed by award-winning designer, Robert Brunner and it shows. The unique round design in elegant and is crafted from highly durable carbon steel. This not only looks exquisite, it’s very practical – especially for a small patio with limited space for a grill. Whilst having a very small footprint, the Fuego Element provides a very generous 346 square feet of cooking surface. This is done on a porcelain-enamel coated cast iron grate that’s of the highest quality, non-stick and very durable. There’s a single heat control with electric ignition. This supplies a dual zone burner with a 21,000 BTU maximum heat transfer. Before you think that this isn’t up to the job, you need to take the superb design and size of this grill into consideration. The Fuego Element will reach 500°F in only 5-minutes. It has a really great lid with a built-in thermometer which can be removed completely. As part of the innovative design of this grill, the lid fits perfectly into either of the side handles for neat and hassle-free storage whilst cooking. It lacks any side trays, there’s nowhere to place your barbecue tools or any of the other stuff that you might be using. So you’ll need a table beside you but this is all part of the compact design. You can store the Fuego away very easily in a small space. Though I doubt you’d want to hide this beautifully crafted grill from sight. You’d probably want to show it off. For a modern, stylish addition to your patio with a very practical purpose, the Fuego Element F21C is an outright winner. It’s beautiful, incredibly well-made and extremely practical. So it’s not the biggest, but that’s all part of its practicality in terms of the compact, space-saving design. For under 300 bucks, you won’t find a more elegant gas grill. Actually, forget the price, you won’t find a more stylish gas grill – period. Liquid Propane Grill — One of the best gas grills under $300 (in my humble opinion). With Glass-reinforced nylon frame & Cast aluminum lid and body. Like so many people around the world, I’m a huge fan of Weber barbeque products. This is a brand tats synonymous with quality, well-designed grills and barbeques. Weber grills are never cheap, so I was delighted to see that the Q2200 costs less than $300. Admittedly, this is a small, countertop gas grill. It’s quite basic, but is an absolutely amazing product – and it’s a Weber. If it wasn’t for the size, I would definitely have rated this gas grill as the best in this review. Though the very compact size, with no stand, makes it the easiest gas grill to store. It’s fantastic for small areas and is portable enough for you take along with you, everywhere you go. You’ll be able to fit the Weber Q2200 into the trunk of your car with ease. It weighs only just over 42-pounds, which makes it the best high-grade portable gas grill in the world. With the Weber name behind it, there’s almost no reason to point out the exceptional quality of this grill. 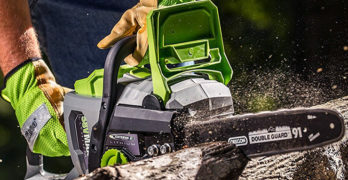 We expect nothing but the best from this brand and, even though the Q2200 is really cheap, it holds true to these expectations. The entire body and lid are made from cast aluminum. This means there is absolutely no chance of rust ever being a problem. The 280-inch cast iron grate is enamel-porcelain coated, so it’s easy to clean, incredibly durable and your food won’t stick to the grate. The Q2200 is not only very practical and well-made, it’s beautiful to look at. It’s not quite the designer item that makes the Fuego such a fashion statement, but the elegant lid has a beautiful coating and is nicely shaped. It’s also very practical. There’s a thermometer on the lid and it has excellently designed fold-out side trays. The single burner with electronic ignition delivers 12,000 BTUs. When looking at the size of this grill, this is a really impressive heat transfer rate. Like any Weber grill, the control knob is reliable and gives you excellent temperature control. The infinite control valve means that you have exact control over the flame. Easy to clean and easy to start. Excellent propane grill. One of the great things about buying a Weber grill is that these guys are the Barbeque kings. So there’s an incredible array of barbeque accessories available. There’s a good reason why Weber grills are among the top gift ideas for men. You can continue building on dad’s Weber collection for years, every time adding another new fantastic accessory from the endless selection. Another great thing about Weber is that it’s likely to last a lifetime and their warranty attests to this quality standard. All the major components carry a 5-year warranty and this includes a warranty against rust on the grate, body and lid. 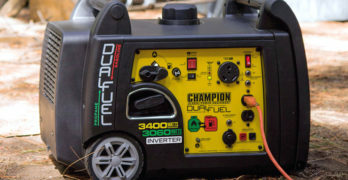 Even if you have a large gas grill on the patio, this handy little portable gas grill will still have plenty of uses for outings and vacations. If you’ve run out of Weber gift ideas, this will make the perfect next Christmas or birthday surprise. Visit the Weber site to learn more. Like most men, I consider myself to be a barbeque expert. Though opinions differ greatly and arguments around the barbeque are common and often very humorous to observe. Having had a lot of experience, I believe that I’ve perfected the technique of grilling, broiling and smoking any type of meat, poultry, vegetables or fish. For what it’s worth, I’m going to share this with you. The most important part of cooking (stovetop, gas grill, or fire) is temperature control. When it comes to outdoor cooking, a gas grill offers you the best heat control and you should always be able to get perfect results without burning or undercooking your food. You’ll need to take a little time to familiarize yourself with your new gas grill. They all have different burners and the control knobs take some getting used to. You can only do this by trying different settings as you cook. After a few attempts, you’ll have a good idea of how to control your temperature. Regardless of what you’re cooking, you want to get the grate or griddle really hot before you begin. With high-powered burners (around 30,000 BTU) this may take only 2-3 minutes at full blast. Smaller burners may take 5-minutes or more. You can test the temperature of your grill by using a piece of onion (or any other veg). Coat the onion in oil and touch it lightly against the grate. If it sizzles and gives off some smoke, you’re ready to start. You’ll usually have to turn the heat down immediately after placing the meat or veg onto the grill. Though the extent of how much you do this will depend on your burners and what your cooking. Your cooking technique will vary, depending on what you’re cooking. For most gas grilling, a lid can be a big aid for slow cooking. If your gas grill doesn’t have a lid, you can always use aluminum foil to cover food that needs to cook slowly. I’m going to cover each type of gas grill cooking separately. Everyone likes their steaks and burgers done differently, but medium to rare is the most common way to prepare either. This is always done at high temperature, the same applies to rare meat – you just leave the meat on the grill for a shorter period of time. For well-done steaks or burgers, you simply turn the heat down and leave them on the grill for a little longer. Before f you begin, brush some oil on both sides of the meat. This helps to prevent it from sticking to the grill and helps to seal the meat. It’s important to sear the meat at a high temperature when you start. This seals the outside and keeps all the juices inside. There’s nothing worse than dry meat. Searing meat always works better with thicker cuts (at least an inch). You’ll place your burgers or steaks onto a really hot grill, sear one side for about 30-seconds and then flip the meat and do the same for the other side. Then turn the heat down to medium and turn the meat after about a minute or two and then once more. I never turn the meat more than once per side. So you’ll sear it on both sides and then cook each side for a few minutes. Many people like perfect grill lines on their meat, so do I. This takes very little effort. Basically, you’ll place the meat any way you want to when searing it and then flip it 90° to sear lines when you turn it. This gives you the classic diamond-shaped lines that make the meat look so appealing. Many people like to press down on the meat when they’re grilling it. This is the worst thing you can do. By pressing the meat against the grill, you’re squeezing the juices out. By doing this, you’re losing both flavor and moisture – which is not good. You also run the risk of causing the meat to stick to the grill and hamburgers can easily break apart when you do this. Before removing the meat from the grill, take a sharp knife and make a small incision into the center. By pulling it open slightly with the blade, you’re able to see the center of the piece of meat. If the color is pale pink and no blood runs out, your meat is perfectly medium to rare. You can leave it on the grill longer at a lower temperature if you want it well-done. It’s no use timing your meat. The thickness of the steak or burger is never the same and the ratio between fat and tissue also affects the cooking time. So the only foolproof way making sure your meat is cooked the way you want it is by cutting into the center. You only want to make a very small cut, you don’t want too much of the juice to escape. If you’re cooking steaks that have a layer of fat on one side. Hold the steak upright, so only the layer of fat touches the grill. Hold it in this position at a high temperature for a minute or two until the fat browns with black lines from the grate. Once your meat is cooked the way you want it, you need to let it rest for a few minutes. This allows the juices inside the meat to settle. If you serve it straight off the grill, fats and sometimes even blood will come rushing out the moment you cut into it. Chicken is especially tricky on a barbecue, the same applies to most poultry. Turkey is another story and this usually is best smoked with plenty of basting. So for turkey on the gas grill, you’d be better off skipping to the section where I discuss smoking meat on a gas grill. For all other poultry, the rules are very similar. Though duck is another tricky one. Duck breasts are usually done in the same way as steaks and burgers. Other cuts of duck can be cooked in the same way as you would chicken, though I suggest placing an aluminum foil dish under the duck to catch the fat and use a fat-free basting sauce. Poultry needs to be cooked thoroughly. Underdone poultry can be a serious health hazard. So the trick is to cook it all the way through without drying the meat out. I recommend using a basting sauce of lemon juice and melted butter with whatever herbs and spices that you fancy for chicken or game poultry. If cooking duck, use the same, but without the butter – duck already has a lot of fat. Prepare your poultry in the same way you would any other meat, brush it with oil and sear it on both sides for about 30-seconds. After this, you’ll want to cook the poultry at a low temperature and do this slowly. Close the lid (or cover with foil) and turn your burners down to the lowest setting. Turn and baste the poultry every few minutes to keep it moist and ensure that it cooks evenly. You can check if your poultry is properly cooked by inserting a sharp knife into it. Press the knife into it until it touches the bone. Then pull the knife to one side until you’re able to see the bone. If the bone is pink, your poultry is not properly cooked. You need to continue until the bone is a grey to brown color. For large cuts of pork or beef (like brisket), you’ll do the same. Though you’ll probably want to use a different basting sauce. Anything with vinegar in it will help to tenderize the meat and it will caramelize to form a crispy outside. You’ll want to cook these cuts until they’re a pale pink color at the center. A meat thermometer is always handy when cooking large roasts or brisket. Ideally, you want the temperature at the center of the meat to be 180°F throughout the cooking process. It will usually take several hours to cook these cuts perfectly. The exact amount of time will depend on the thickness of the meat and its fat content. If you’re cooking pork with the skin on. You’ll want to crisp the skin properly at a medium heat before you turn the temperature down. Rub the skin generously with salt before you begin, this helps it crisp. It’s never a good idea to baste the skin, this only softens it. So be careful to only baste the exposed meat when cooking pork in this way. Seafood is the most delicate and, therefore, requires the most attention when cooking. To sear fish, you want a medium to hot grill, not as hot is it would be for red meat. Brush your fish with oil or melted butter and quickly sear both sides. You really need only a few seconds until the fish is golden brown. Then turn the heat down low and cook either side for about 2-3 minutes. If your fish has the skin on, cook this until it’s crispy. Shellfish like shrimp is a really quick process. Place them with the shells facing the flame and cook at a medium heat for a few minutes, there’s no need to turn them. The shell provides protection from the heat. Whole fish is usually cooked best by stuffing them with butter and herbs and then wrapping them in aluminum cooking foil. Cook each side for about 3-4 minutes at a medium to low temperature. There’s no limit to what veg you can cook on a gas grill, the techniques will vary though. For most vegetables, it’s best to cut them in into thick chunks of equal size. Prepare your veg by seasoning and brushing them with oil. Hard veg like potatoes, carrots, and corn want to be cooked slowly over a medium heat. Delicate veg like asparagus require a low temperature and you shouldn’t cook them too long. Peppers cook the best at a high temperature, done quite quickly. You’ll burn the outer skin. It will turn black, but don’t be alarmed, this gives the peppers a wonderful smoky, chargrilled flavor. The thin, burnt skin peels off easily, leaving you with a succulent, juicy pepper. Thin-leafed cabbage and onions are also wonderful cooked in this way. Once you’re done, simply peel away the burnt layers to reveal the perfectly cooked inner layers. Some veg may be too thin and this might cause them to fall through the grate. This can be easily overcome by placing a sheet of cooking foil onto the grate and cooking the veg on this. Some gas grills come with a smoking box. Though this doesn’t mean any of the others can’t be used as a smoker. That’s if it has a grate, a solid griddle won’t really work for smoking. To make your own smoking box, all you need is an aluminum foil baking dish and a sheet of aluminum cooking foil. You place the wood chips inside the baking dish, cover with foil and poke holes into the foil to allow the smoke to escape. You then place your homemade smoking box directly onto the burners at a low heat. Always use good quality wood chips. I recommend buying wood chips that are sold for smoking meat. These are aromatic wood types and you’re assured that the smoke won’t be toxic. Wood that has been treated with chemicals will be toxic and the meat will taste bad. 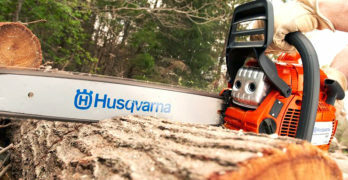 Unless you know your tree types, let the experts supply your wood chips. Choosing the right type of woodchips is a matter of personal taste and you’ll need to try them out to see which you like the most. Smoking meat is a slow process and requires patience. Though it doesn’t take much effort, you basically leave it to do its thing for hours. You need to prepare in advance by soaking your woodchips for several hours – preferably overnight. You could also use this time to marinade your meat if you want, but this is not essential. If you’re not going to marinade the meat, prepare it with a dry rub before smoking. You can smoke any type of meat and even some vegetables. Aborigine is fantastic when smoked. Meat that tends to be dry (game or turkey) will benefit from occasional basting during the smoking process. Though meat with more fat, particularly brisket, can be left unattended for hours. Place your prepared meat directly onto the grate and close the lid or cover with foil. Set the heat really low and let the process begin. Smoking meat usually takes at least 3-hours and can take a whole day. It depends on the size of the cut and the type of meat. After a few hours, you can cut into the center and check the color to see if it’s done to your liking. A good quality gas grill doesn’t need much maintenance. You want to clean the grate or griddle after every use and the same applies to the grease tray. I used to use a steel brush for this but I’ve recently learned that this is not a good idea. Steel bristles can be left behind on your grate and this could end up in the food that you cook on it. This is not good for you, as you can imagine. So a hard bristle nylon brush is the best for cleaning your grate or griddle. Just make sure you don’t do this when the grill is hot. Applying a degreasing agent and leaving it to stand for a few hours before cleaning, will make things much quicker and easier. Soaking the burners in a degreaser and brushing them clean from time to time will also help them function better. While most of the best gas grills are made to resist rust, you can do your bit to ensure that this can never be a problem. Any steel or stainless steel surfaces will last longer if you oil them. After cleaning your gas grill, rub some cooking oil onto all the steel surfaces and the grate or griddle. There’s no need to do this on areas that are coated with enamel or powder coating. With a little care, your gas grill will give years of enjoyment.